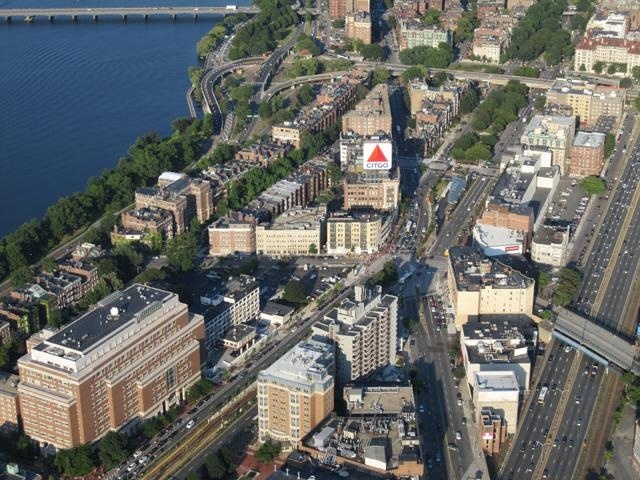 The Boston Language Institute is located close to the center of Boston at 648 Beacon Street, in Kenmore Square, diagonally across from Fenway Park and next door to the Barnes & Noble Boston University Bookstore. Take Green Line trains B, C, or D (but not E), or buses No. 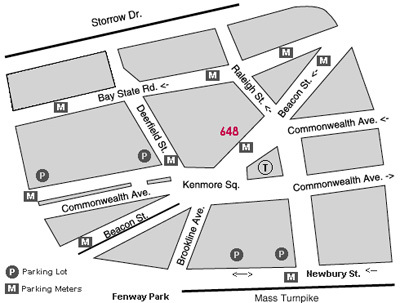 57, 60, 65, 8, or 8A to Kenmore Station, which is in the middle of Kenmore Square. Parking can be a bit difficult in Kenmore Square. The best place to park is on the streets behind the Institute, including Bay State Road. There are also several parking lots located near the Institute. The map below indicates the directions of the many one-way streets, parking lots and streets with metered parking. Since classes are limited to 12 students, we encourage you to register early. You can register online. Select your language, level, session and time. For those not able to register online, a Program Coordinator will be happy to take registration information by phone (617-262-3500 x241), or e-mail. The Institute holds monthly Open Houses at our Kenmore Square office where you can discuss your language needs and meet teachers and staff. Registration is also available at a Open House.